Every day, small businesses across America share their time and talent with their communities to advance social good. As the wave of employee volunteerism swells within corporate America, small businesses are not being left behind. Just as they are a driving force for job creation in America, small businesses are also a driving force of skills-based volunteering (SBV) and pro bono. They are the engines of innovation and of compassion-driven social impact in communities. America’s small businesses have embraced SBV, a unique approach to community engagement which harnesses employees’ skills, knowledge, and passions, to help build the capacity of nonprofit organizations. This essay will outline the social and business benefits of skills-based service, share stories of how small businesses have implemented programs that work for them, and offer recommendations and resources for building effective volunteer programs to meet the unique needs of small businesses. Who are small businesses? The Small Business Administration defines a small business as an independent business having fewer than 500 employees. In aggregate, small businesses make up 99.7 percent of U.S. employer firms and 49.2 percent of private-sector employment. The figures have gradually increased over the past two decades. Small firms accounted for 64 percent of the net new jobs created between 1993 and 2011. The dynamic and varied nature of small business makes workplace volunteering a fantastic match offering benefits to both business and community. Volunteering in corporate America is on the rise, and small businesses are part of this growing trend. According to the Committee Encouraging Corporate Philanthropy (CECP), 50% of companies offered pro bono service programs in 2013, up from 34% in 2010. Competing for talent, ensuring employee retention, and sustaining a competitive advantage are all compelling reasons for small businesses to start and scale volunteer programs. How can small businesses benefit from corporate volunteerism? Corporate volunteerism helps recruit top talent. According to research by the CEB Corporate Leadership Council, almost half of HR executives expect turnover and hiring to increase. Employees develop strong leadership skills. Employees reap rewards when they volunteer. By offering their expertise, volunteers are able to refine and enhance their job skills while increasing networking opportunities; this is particularly poignant for recent college graduates. AAA of Northern California has found a positive correlation between employee promotions and those who volunteer. The company attributes this relationship to increased visibility of employee skills to management. Similarly, in another research survey by Deloitte, close to 90% of pro bono and skills based volunteer respondents said they had a positive impact in developing managerial and leadership skills across areas such as relationship management, problem solving, and communication skills. Unlike investing in courses or conferences, service based volunteering provides an impactful and cost effective alternative for developing leadership and talent. That offers multiple benefits to the volunteer employee and to the business. Indeed, according to new research from True Impact, skills-based volunteers are 142% more likely to report job-related skills-gains from traditional volunteers. Volunteering promotes teamwork. In the 2013 Health and Volunteering study by the UnitedHealth Group showed 81% of employed volunteers who volunteered through their workplace agreed that volunteering together strengthens relationships among colleagues. Volunteering promotes better health. In the same study by the United Health Group, over three-quarters of people who volunteered in the past twelve months said that volunteering has made them feel physically healthier— in fact, most say that one of the reasons they decided to volunteer was the belief that doing volunteer work would be good for their health. Add to that, volunteers are more likely than non-volunteers to consider themselves in excellent or very good health, and they are more likely to say that their health has improved over the past 12 months. There is an even stronger connection between volunteering and mental/emotional health. Volunteering helps us to manage stress— the majority of people who have volunteered in the past 12 months say that volunteering has lowered their stress levels. Of course, if people are feeling healthier because they are volunteering, they will feel better at work as well. But in addition to the great benefit of employees who feel healthier, employers find that volunteering employees are less stressed, more engaged, and are developing important work and “people skills”. That makes employers feel good too. Volunteering strengthens connections to community— and giving back makes good PR. Getting involved in a civic endeavor puts you in contact with people you might never meet otherwise. Some of these individuals will have knowledge and experience that may prove helpful to your business. An example of this is Burt Brothers Tires, a small tire franchise in northern Utah, which received national coverage on Forbes.com because they were regular participants in a local annual Coats-for-Kids community event. If the company had not earned such a well-deserved reputation in its community, it would not have garnered the attention of a major media outlet. Volunteering can grow your business. In times of economic recession, pro bono volunteering with nonprofits can motivate employees and foster goodwill. In the fall of 2008, Boston-based Studio G Architects, a Public Architecture firm, was hit particularly hard by the recession causing revenue to drop 30% from the prior year. Clients of the architectural firm had cancelled or wait listed ten projects. With work slowing down, the company began providing 15 to 20 hours a week in pro bono services to keep employees occupied and attract future contracts. The company designed projects for various charities including a playground for severely handicapped children. This approach worked. The projects later received full funding and Studio G obtained several contracts, which ranged in value from $16,000 to $100,000. Lastly, volunteering positively impacts the bottom line. The increased engagement level from a volunteer program results in a decrease in turnover and an increase in average revenue per employee. Further, companies that engaged in corporate social responsibility show a 10-year return on equity that was 10 percent higher than their competitors. Yet, historical assumptions persist, implying that small businesses are leaving volunteering to large employers and multinational corporations. While this may have been true in the past, today old paradigms are shifting. In fact, A Billion + Change, a national campaign to encourage more pro bono and skills based volunteering, found that half of the more than 500 companies that pledged over $2 billion worth of service in 2013 were small businesses. How does employee volunteerism look in small businesses? In many ways, small businesses make ideal partners for their local nonprofits. Most smaller businesses have only a few locations and closer ties to their community as home to both customers and employees. These connections foster a deeper understanding of local needs and shared concerns. Small businesses also reflect the scale of community based non-profits; the average size of a small to mid-size nonprofit in the US is 21-124 employees and $15 million or less in annual revenue. These similarities allow for the ability to offer services and support that match the capacity of the non-profit to receive, which in turn maximizes the benefit to all. For the non-profit, small businesses can also offer flexibility to work with volunteers during business hours. The smaller the company, the more flexibility its principals have in setting their schedules. Nonprofits will be more successful recruiting an architect or a consultant as a volunteer during the day than getting “release time” for an employee of a large corporation along with avoiding a bureaucratic maze of approval signoffs. Determine the maximum amount of time an employee can volunteer per fiscal year. Ensure proper training of employees (ability to cover others’ assignments). This allows operations to continue when the employee is volunteering. Stagger work schedules for employees who wish to volunteer. Even with these considerations, some small businesses do not have the personnel time to coordinate and control the volunteer effort because they don’t have a Community Service or Human Resources department. Further, the costs of managing the volunteer projects are significant. According to a 2004 survey by CECP, the administrative costs associated with cash and non-cash contributions total approximately 5.5 percent of the company’s giving. Kilcrease proposes that the solution to this problem comes from within the community itself. To control the administrative costs associated with volunteer programs, many small businesses can turn to their local institutes of higher education for connection to non-profits in need. Presently, multitudes of colleges/universities require students to perform a set amount of community service hours to fulfill graduation requirements. Offering to lead or sponsor these teams offers a great connection to vetted volunteer opportunities. Nationwide, 60 percent of students reported that they volunteer in some charitable activity through their college. From this “service learning,” as the community service is called, students gain new perspectives on society in relation to a specific course or discipline of study. In this proposed model, everyone benefits; non-profits increase their volunteer pool, small businesses may increase their bottom line while improving their public image, and colleges create informed and caring graduates. In terms of implementation, the small business must be the catalyst as they hold control of the professional volunteers. How do you launch an employee volunteer program? Assess the nonprofit’s needs and readiness: Identify nonprofits that might be a good fit with your company’s goals. You might consider working with a HandsOn Affiliate to connect you with an appropriate nonprofit. Develop a scope of work: Work with the nonprofit to create agreed-upon expectations. Determine how the project’s success and impact, both to the nonprofit and the community, will be measured. Implementation: Match volunteers to projects based on their interests and skill-sets, or encourage them to find a volunteer opportunity through online matching services like VolunteerMatch, Catchafire, SkillsforChange.com, or nonprofits in your company’s existing portfolio of community partners. Maintain open lines of communication between the pro bono team and the nonprofit. Track and report volunteer hours and the value of their contributions. Monitor project milestones. Re-assess and adjust program scope if necessary. Build interest in your SBV program by inviting volunteers from other businesses to share their experiences, or by allowing employees to suggest their favorite nonprofits or causes. Evaluation: Measure the project’s success and impact to the nonprofit and the community against the indicators and metrics outlined in the scope of work. Issue a survey (consider Survey Monkey or other web-based survey tools) to your employees and their managers to assess the impact of their volunteer assignments on: engagement, skill-development, leadership development, and other factors important to you. Recognition: Recognize and celebrate volunteers for their work and their project’s results. Consider an employee volunteer spotlight in your business newsletter or an employee volunteer award. Gather testimonials, pictures, and stories from your nonprofit partners and employee volunteers and communicate this internally and externally to local and national media. There are several different SBV models to choose from. It is important to choose a model that best suits the business, work culture, and targeted nonprofits. Marathon Model: Conduct your pro bono project within a short time frame (usually 24 hours) to deliver a mass volume of services. Open-ended Model: Make your services available to a set number of nonprofits on an ongoing basis. Micro-volunteering: Expand service opportunities to employees with all types of schedules through micro-volunteering opportunities, including SkillsforChange.com. Coaching and Mentoring: Do your employees have culinary, hospitality, retail, or tutoring skills? Partner with a nonprofit and lend your functional expertise. Standardized Team Projects: Employees are placed on a team with set roles, responsibilities and deliverables. Loaned Employee Model: Grant your employees an approved and compensated leave of absence to offer volunteer services to a nonprofit. For more research, resources, and toolkits on building an employee volunteer program, visit www.pointsoflight.org/corporate-institute/resources or www.abillionpluschange.org/resources. Small businesses— by their nature closer in scale to the nonprofits they serve and in touch with community needs— are uniquely positioned to be great champions of skills-based service. From coast to coast, small businesses are sharing their strategic planning, design, communications, technology, consulting services, and more to help build nonprofit capacity. Small businesses are also discovering the power of pro bono as an effective way to attract, retain, and develop great talent, improve community relationships, and build a competitive advantage in the market. Unlike the largest in the Fortune 100, small businesses— just like their community partners— have unique challenges and needs, so please use the data, examples, and guidance in this essay to build a pro bono program that works for you. 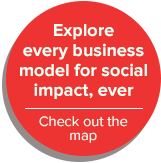 With your help, small businesses will continue to be powerful drivers of social change. * Mubeen Khumawala is a contributing author as a Pro Bono fellow to Points of Light courtesy of the Quarterback program, connecting pre-MBA candidates to service opportunities. www.qtrback.org. 16 “Frequently Asked Questions,” September 2012, Small Business Administration Office of Advocacy, 04 August 2014 <http://www.sba.gov/sites/default/files/FAQ_Sept_2012.pdf>. 17 Michael Stroik, “Behind the Numbers: What do Trends in Corporate Giving Mean for You?,” 21 October 2013, Committee Encouraging Effective Philanthropy, 07 August 2014, < http://cecp.co/press-room/cecp-insights/item/61-behind-the-numbers-what-do-trends-in-corporate-giving-mean-for-you?.html>. 18 Brian Kropp, “Maximizing the Effectiveness of Corporate Volunteer Programs,” 23 July 2014, CEB Corporate Leadership Council, 23 July 2014, Webinar. 19 Kelly M. Kilcrease, “Increasing Small Business Volunteerism: Overcoming the Cost Factor,” March/April 2007, Ivey Business Journal, 07 August 2014, <http://iveybusinessjournal.com/topics/strategy/increasing-small-business-volunteerism-overcoming-the-cost-factor#.U-N-5_ldXjX>. 20 Kaveeta Chandrani, et al., “Developing Leaders from within,” Deloitte, 08 August 2014. 21 “Doing Good Is Good For You,” 2013, United Health Group, 05 August 2014, <http://www.unitedhealthgroup.com/~/media/UHG/PDF/2013/UNH-Health-Volunteering-Study.ashx>. 22 Lee Poleovoi, “Volunteering Is Good for Your Small Business,” 14 January 2014, Intuit QuickBooks, 06 August 2014, <http://quickbooks.intuit.com/r/employees/volunteering-is-good-for-your-small-business/>. 23 Ty Kiisel, “Small Business Week Special: Small Businesses Give Back To Their Communities,” 20 June 2013, Forbes, 08 August 2014, < http://www.forbes.com/sites/tykiisel/2013/06/20/small-business-week-special-small-businesses-give-back-to-their-communities/>. 24 Raymond Flandez, “Pro Bono Work Helps Firms Fight Economic Slump,” 1 September 2009, The Wall Street Journal, 11 August 2014, <http://online.wsj.com/news/articles/SB125176720925874609?mg=reno64-wsj&url=http%3A%2F%2Fonline.wsj.com%2Farticle%2FSB125176720925874609.html>. 25 Brian Kropp, “Maximizing the Effectiveness of Corporate Volunteer Programs,” 23 July 2014, CEB Corporate Leadership Council, 23 July 2014, Webinar. 26 Kelly M. Kilcrease, “Increasing Small Business Volunteerism: Overcoming the Cost Factor,” March/April 2007, Ivey Business Journal, 07 August 2014 <http://iveybusinessjournal.com/topics/strategy/increasing-small-business-volunteerism-overcoming-the-cost-factor#.U-N-5_ldXjX>. 27 “The Billion + Change Story: A First Look Inside the Largest Commitment of Corporate Pro Bono Service in History,” A Billion + Change, 2013. <http://www.abillionpluschange.org/sites/default/files/documents/billionpluschangestory.pdf>. 29 Susan J. Ellis, “Tapping the Small Business Community for Volunteers,” Energ!ze Inc., 04 August 2014 < http://www.energizeinc.com/art/npsmbus.html>. 30 Kelly M. Kilcrease, “Increasing Small Business Volunteerism: Overcoming the Cost Factor,” March/April 2007, Ivey Business Journal, 07 August 2014 <http://iveybusinessjournal.com/topics/strategy/increasing-small-business-volunteerism-overcoming-the-cost-factor#.U-N-5_ldXjX>.